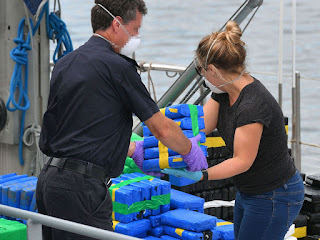 The load, reported to weigh around two tonnes and be worth more than £200m, is the second largest cocaine seizure in the UK. 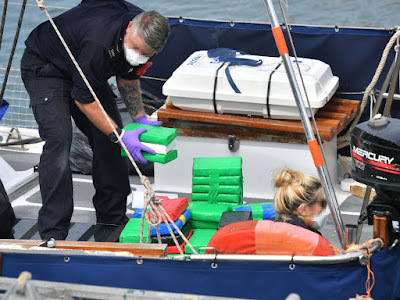 It follows an investigation by the National Crime Agency with assistance from the UK Border Force and Dutch, Portuguese and French police. 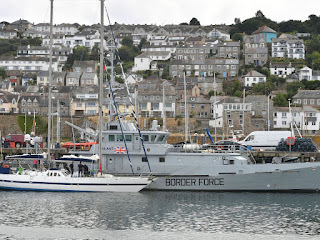 Border Force cutter HMC Vigilant intercepted the yacht on Thursday, bringing the vessel into Newlyn Port on the south coast of Cornwall. 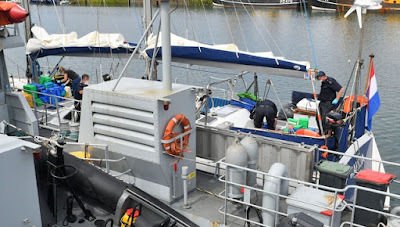 Dutch nationals Maarten Peter Pieterse, 59, and Emile Adriaan Jeroen Schoemaker, 44, have been charged with drug importation offences. The haul is so big the operation to clear the boat spanned three days.